There is a slight smile on her mouth and eyes. That\'s impossible for us, viewers, to know what she is feeling. That\'s part of her mystery, which makes this beautiful portrait enigmatic and fascinating. There are so much details in your photos.I am sure we won\'t be able to notice them if seen the person in real with naked eyes. 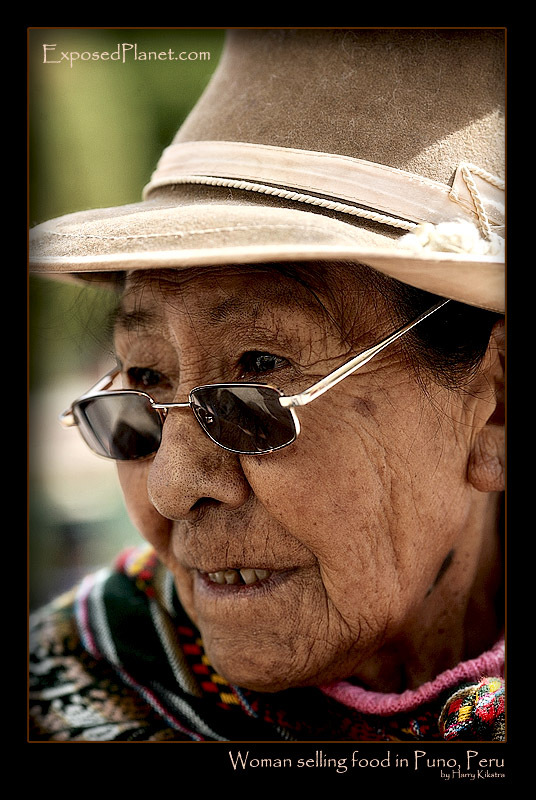 The story behind "Old woman in Puno, Peru selling sweets"
This friendly old woman with a typical Peruvian highland hat was selling sweets on the street, part of daily life on the shores of Lake Titicaca.